Designed with a contemporary flare, our heart gemstone ring is set with a heart-cut amethyst gemstone in 14k solid white gold. Amethyst stone measures 5mm x 5mm and weighs a total of 0.45 carats. 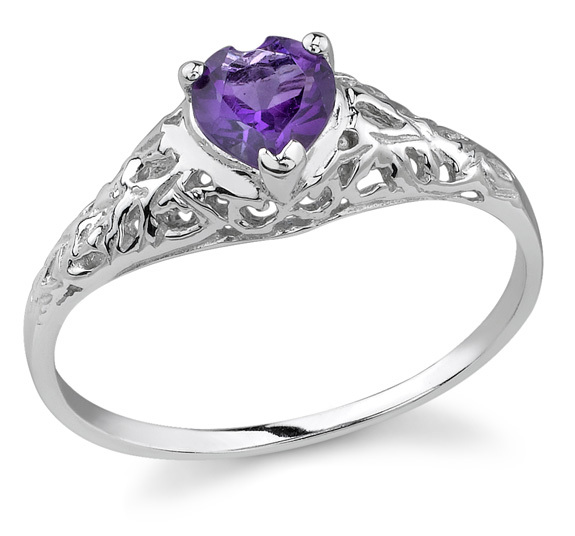 We guarantee our Heart-Cut Amethyst Gemstone Ring, 14K White Gold to be high quality, authentic jewelry, as described above.